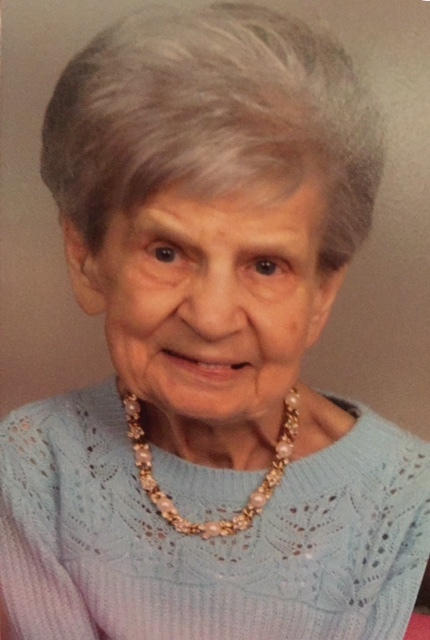 Elsie Jane (Homa) Kosar, 89, of Butler passed away Tuesday, March 26, 2019 at her daughters residence in Gaitherburg, MD. She was born November 1,1929 in Butler. She was the youngest daughter of the late Michael and Anna Prexta Homa. She was a retired secretary for the Butler Area School District, who enjoyed reading her Bible and singing. She is survived by her husband, Steve Kosar, to whom she's been married since May 12, 1951; Her son, Stephen (JoAnn) Kosar of Graham, WA; Two daughters: Diane (Thomas) Kummer of Gaithersburg, MD, and Jennie (Mark) Nicklas of Manassas,VA; Six grandchildren: Amy, Katie, Melinda, April, Jeremy, and Rachael; Ten great- grandchildren; Her brothers, Paul (Shirley) Homa of East Butler, John (Betty) Homa of Butler; and numerous nieces and nephews. In addition to her parents, she was preceded in death by her granddaughter, Kira; two brothers and four sisters. Family and friends are invited to attend a grave side service at 11:00 am Saturday at Rose Hill Cemetery, Mercer St. Extension, Butler, PA 16001. Arrangements completed by the Geibel Funeral Home, 201 East Cunningham St. Butler, PA 16001.